Did you know that researches have proved that dancing has physical, and mental benefits? 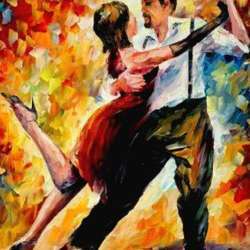 Just to mention some of them: improves physical health, given that, in the very end, dancing is a form of physical activity helping with coordination, improving muscles strength, giving you more agility and flexibility, balance and spatial awareness. Dancing improves, as well, mental functioning and general and psychological well being as known as reducing stress and anxiety, improving self-confidence and self-esteem, and developing better social skills, helping with social communication. So let' s get together and enjoy the benefit of dancing in this, by now many of us favourite, cozy, friendly, exciting place.